Happy Saturday Junkies! Pam here and I am back with another fantastic stamp showcase from TJ. This is another set I picked up at the rubber stamp show last month and I have been dying to "play" with it lol. The set is called Winning Hand and it is part of the Palettini line. 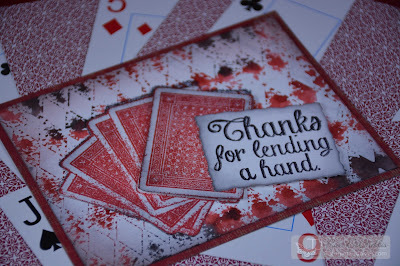 There is also a great sentiment to coordinate with this called Lend a Hand. 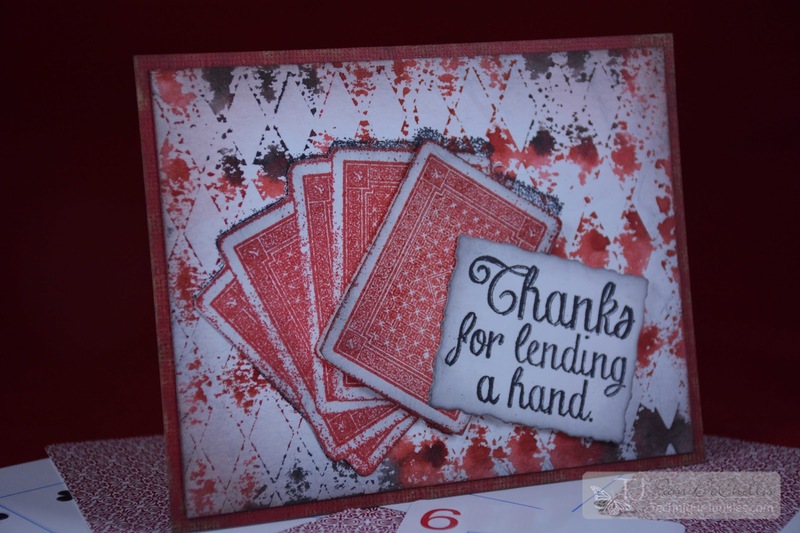 As soon as I saw the Winning Hand set I knew exactly how I wanted to stamp it-with lots of texture so I used Versamark Ink and covered with Ranger Distress Embossing powder Fired Brick. 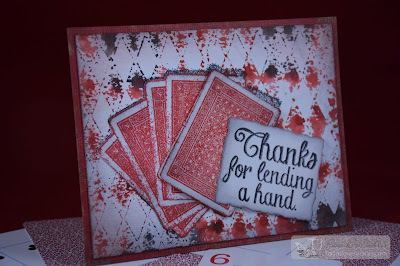 This gave the cards some texture and really made them stand out. 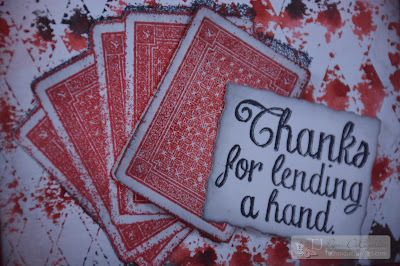 For the background I wanted a "card game" feel so I used a The Crafters Workshop Stencil with Ranger Distress ink and created a stencil mono print. The top card was restamped and cut out again and "popped" on with homemade Xyron dimensional adhesive as was the sentiment. 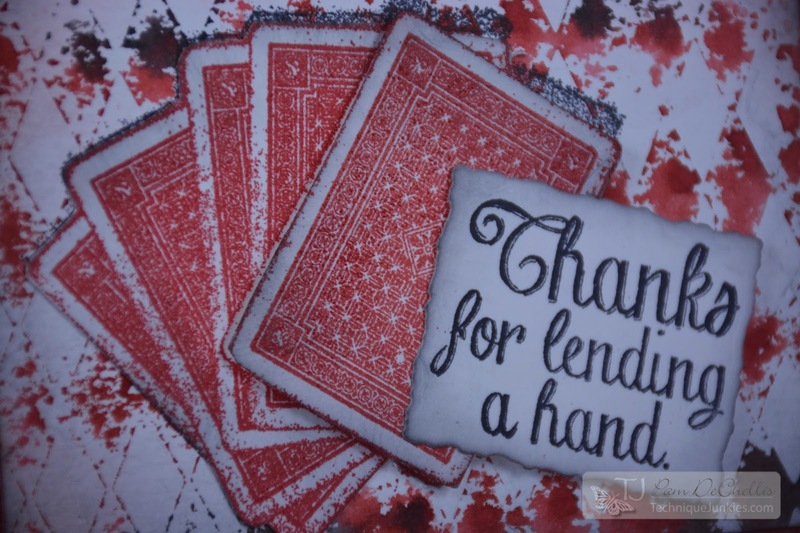 The sentiment was also stamped with Versamark and covered with Distress Embossing powder- Black Soot- to match the texture o the cards. Thanks for stopping by today and be sure to check back for more great inspiration from the TJ Design team and my blog for TJ showcases!